Ram car dealerships offer automotive technician jobs to mechanics who are Ram certified through the MOPAR College Automotive Program. The Ram pickup truck has become synonymous with construction sites all over the country and weather conditions where you need a lot of power to get from point A to point B. While this popular truck was originally manufactured by Dodge, it was later spun off and is now made by Chrysler (though the company is referred to as FCA US LLC). Fortunately, this full-sized pickup truck didn’t lose any of its attractive features. Therefore, if you’re looking for a way to secure your auto mechanic salary for years to come, learning how to service these trucks would make sense. Becoming Ram dealership certified will ensure you’re able to pick from a number of automotive technician jobs. Here’s what it will take. The best way to ensure your chances when applying to auto technician jobs specific to working on Rams is to get certified. You can’t go to just any auto mechanic school for this type of credential, though. Instead, you want to go to the MOPAR-Chrysler/Dodge/Ram/Jeep College Automotive Program. MOPAR is a part of Fiat Chrysler Automobiles. They handle the company’s services, parts and customer care. The organization also ensures that there are plenty of auto mechanics all over the country who can work on their vehicles and keep customers happy. Obviously, this includes Ram trucks and the people who love them. To ensure best results, MOPAR’s program is a full two years. Those who make it through the end and graduate will receive an associate’s degree which will be recognized by any Chrysler dealer and any auto body shops that service Rams. The program involves traditional classroom courses where students learn from an experienced lecturer. There is also laboratory work as well where students get time to actually work on Rams and other Chrysler vehicles. The setup of the program is also unique. During the odd-numbered quarters, students will be working in the classroom and doing lab work. During even-numbered quarters, they will be in dealerships gaining actual, real-world experience. This way, throughout your training, you’re getting an equal dose of the most important parts of being a certified mechanic working at a dealership. Although the program was designed to help entry-level technicians find employment at Chrysler dealerships, this doesn’t mean that just anyone can apply. To be accepted, it is absolutely essential that you find a dealership willing to sponsor your training. This doesn’t mean they’ll pay for it, just that they essentially need to tell MOPAR that they will provide you a resource for your vital in-dealership training. To convince a dealership that you’re going to be a worthwhile investment in time and training on their part, you’ll need to show them that you’re committed. This could mean attending some degree of auto mechanic school. It could mean working in a shop and gaining experience doing basic mechanic tasks. Whatever the case, just know that this component of your application can’t be blank. MOPAR will only consider you if you have a dealership sponsor that has signed on to help. However, the good news is that, once you graduate, you’ll immediately have a dealership to report to for work (though you could also look elsewhere). As we just mentioned in the previous paragraph, getting certified to work on Rams means you shouldn’t have too much trouble finding a job and no problem keeping it. These trucks don’t show any signs of being discontinued. That being said, the other huge benefit is that MOPAR training involves learning how to work on a number of other vehicles too. Between Chrysler, Dodge and Jeep, you’ll know how to work on countless vehicles from modern times and decades into the past. 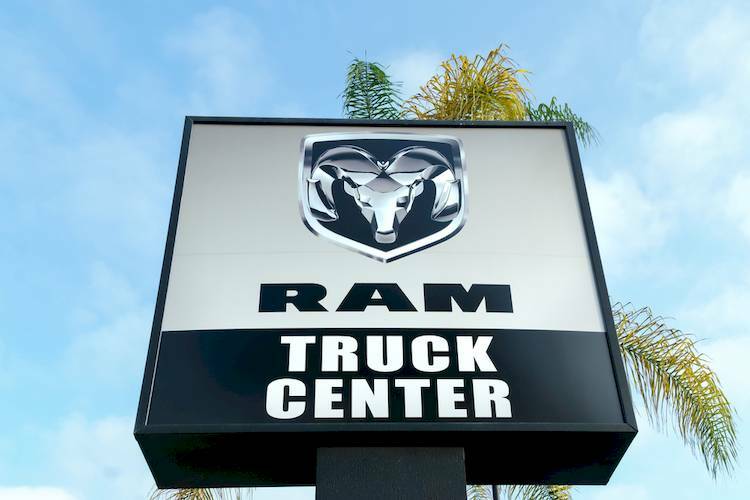 Now that you understand how to get Ram dealership certified, get busy finding a sponsor and you’ll only be two years away from all kinds of technician jobs anywhere in the country. Head bolts on the cylinder get stuck and must be removed using a breaker bar, applying impact force, or by carefully drilling the bolt out. Q: Where is the spare tire?